Rebecca Kirby is a charter Diplomate of the American College of Veterinary Emergency and Critical Care and started the first residency-training program in that specialty. Her articles, textbooks, and clinical research have advanced the veterinary profession and inspired students. She has lectured in over 24 countries and won recognition as Speaker of the Year at the North American Veterinary Conference. Her awards include 2001 Veterinarian of the Year by the AAHA, 2003 Ira Zaslow Distinguished Service Award from the VECCS, and 2005 Hills Award for Excellence in Veterinary Medicine awarded by the WSVA. She is also a Diplomate of the American College of Veterinary Internal Medicine. 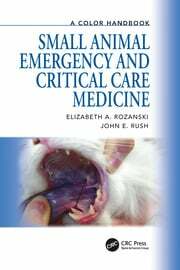 Elke Rudloff is a Diplomate of the American College of Veterinary Emergency and Critical Care. She has trained 25 ACVECC Diplomates and is currently a clinical instructor at the Lakeshore Veterinary Specialists in Wisconsin. She serves as the IVECCS Program Coordinator. She is the 2008 recipient of the Ira Zaslow Award for distinguished service in the field of veterinary emergency and critical care and is an internationally recognized educator in the field of veterinary emergency and critical care. Her special interests include fluid resuscitation, emergency surgery, and trauma management, topics on which she has published in peer-reviewed journals and book chapters. Originally from Canada, Andrew Linklater moved to the US to pursue advanced veterinary training; he is a Diplomate of the American College of Veterinary Emergency and Critical Care. He has been actively involved in mentoring critical care interns and residents for over a decade and works at Lakeshore Veterinary Specialists in Wisconsin, where he oversees the management of critically ill and injured patients and performs advanced diagnostics and therapeutics. He is well-published in peer-reviewed journals and textbooks in the field of critical care and continues to lecture nationally and internationally. 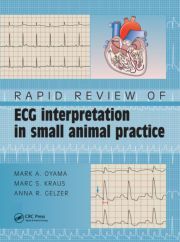 "By now, vets and vet students are familiar with the Learn Revise Reinforce series of books. They are a popular CPD tool in many practices, but also an excellent way to revise before the finals. This is the second edition on ICU, and the cases read like a novel. Stabbed dog, road traffic accident (RTA), bee sting, Cuterebra larva in the eye, or TASER hit Pitbull, to name only a few, will certainly challenge your brain and check your emergency response knowledge." "…provides over 200 new real live case scenarios, any one of which you could be called on to deal with in daily clinical work…"
"This is a useful learning and self-assessment book presented in an unusual and enjoyable question-answer format. The book provides valuable and practical training using a scenario-based presentation, which maximizes its clinical relevance and effectiveness." 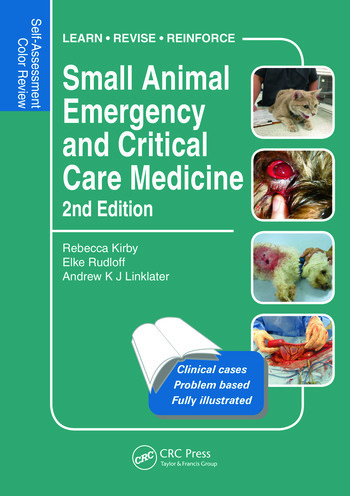 "The authors have amassed corresponding photographs and diagnostic images for almost every case, a great feat that adds a sense of realism to the book…the format of this book facilitates its use for self-assessment or group learning, and this is a great workbook for emergency and critical care clinicians and technicians and residents studying for the board examination."